It’s not golf season in the frozen tundra outside, but that doesn’t mean the winter has to stop golf swings from happening. 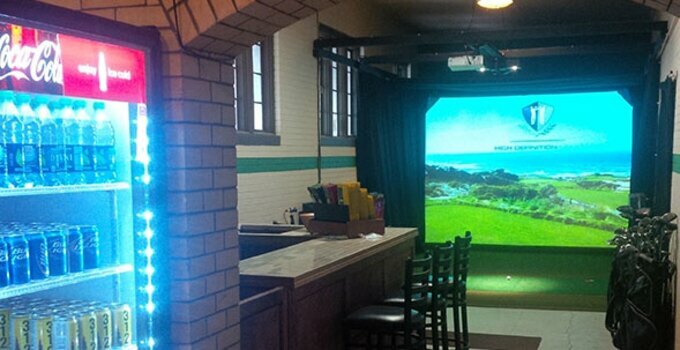 Sydney R. Marovitz Golf Course in Chicago is taking the golf course out of the winter with its new indoor HD golf simulator, which lets people play on some of the top courses in the world, including Banff Springs, Bay Hill, Harbour Town, Pacific Dunes, Pebble Beach and Pinehurst No. 2, without having to venture into the chilly outdoors. Currently available for $50 per hour through February and valued at $80 per hour, the 60-course simulator is framed by a newly renovated bar and lounge. The simulator has been busy early on with customers coming every day and enjoying friends, food, drinks, and golf. Last month, WGN News named the Sydney R. Marovitz simulator as one of their “7 Things to do in Chicago” in a recent article. As the room receives finishing touches and word continues to spread, things should continue to heat up.